STORMBERG By Sire of Sires STORM CAT Out of Eclipse Champion Filly SERENA’S SONG. 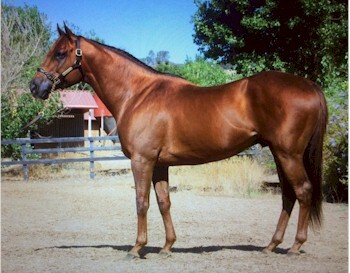 STORMBERG brought $450,000 as a yearling at Keeneland September 2009. STORMBERG is a multiple Santa Anita winner with earnings of $108,865. STORMBERG hails from the female family of sires HARLINGTON, SCHRAMSBERG, GRAND REWARD and champions HONOR CODE, SERENA’S SONG etc. STORMBERG first foals race in 2018. By STORM CAT (1983). Stakes winner of $570,610, Young America S. [G1], etc. Starlet S. [G1], Beldame S. [G1], Santa Anita Oaks [G1], Hempstead H.
Ballygallon Stud Renaissance S. [G3], Emerald Bloodstock Belgrave S.
des Pouliches-French One Thousand Guineas [G1], Moyglare Stud S. [G1]. Longines Prix du Calvados [G3]. Cheveley Park S. [G1]. Producer. at 5 in England, $26,913 (USA$). in Australia, $142,944 (USA$), 2nd Bulmers Dalrello S.
Memorial H. [L] (RP, $11,000). Sire. Gulfstream Park H. [G2] (GP, $180,000). Sire. Greenham S. [G3], Newbridge Credit Union Loughbrown S. Sire. Briefcase S. (MTH, $36,000), 2nd Hush Dear S. [L] (SAR, $16,490). Champagne S. [G1] (BEL, $100,000), etc. (DMR, $120,000), 3rd Al Basti Equiworld Mercury S.
Noble Sound (c. by Vindication). 3 wins in 3 starts at 3 and 4, $81,000. S. (TP, $28,830), 3rd H.B.P.A. S. [L] (PID, $10,000). Arbitrate (c. by Deputy Minister). 5 wins, 3 to 5, $195,390, 2nd Dr. Fager S.
Spark Candle (r. by A.P. Indy). 9 wins, 2 to 7 in Japan, $262,303 (USA$). Stormberg (r. by Storm Cat). See below. Holiday Inaugural S. (TP, $9,300). High Stakes Player (c. by A.P. Indy). 5 wins at 3 and 4, $103,103. American Song (c. by Unbridled's Song). Winner at 3, $14,853. Gold Serenade (f. by Medaglia d'Oro). Placed at 3, 2017, $6,576. S. [G3] (GP, $60,140), 3rd Kitten's Joy S. [L] (GP, $9,800). SERENA'S SONG (f. by Rahy). Champion see above. Rod S. [G3], Martha Washington S. [L] (OP, $34,050), 3rd Cottonwood S.
Raw Imagination (g. by Rahy). Winner at 4 and 6, $46,461. =Ketan (GB) (g. by Zilzal). 9 wins, 2 to 6 in England and Macau. Caracara (IRE) (f. by Nashwan). Winner at 2 in England, $11,481 (USA$). Japan, $3,562,685 (USA$), Sapporo Kinen [G2], Fukushima Himba S.
Nakayama Himba S. [G3], etc. WANDER MOM (f. by Maria's Mon). 8 wins, 2 to 5, $399,656, My Charmer H.
3rd Klassy Briefcase S. [L] (MTH, $10,000), Ladies Turf Sprint S.
Keeneland 75th Anniversary S. [L] (KEE, $12,500). $8,270), Decathlon S. (MTH, $6,600), etc. $256,610(USA), 2nd Marshall Jenney H.-R (PRX, $20,000). $85,380, Brave Raj S. (GP, $61,380). $12,500), LARC Sir Barton S.-R (PIM, $10,000). Shutter Speed (g. by Jolie's Halo). 8 wins, 3 to 7, $70,058. Nautilus (g. by Irish River (FR)). Winner at 3, $16,273. River Saint (f. by Irish River (FR)). Placed at 3 in England, $3,797 (USA$). =Neon (GB) (f. by Fantastic Light). Winner at 4 in Qatar, $3,076 (USA$). Vevina (f. by Rahy). Winner in 4 starts at 3 and 4 in NA, $20,335 (USA$). Nuevo, Clasico Accion de Gracias. Republic of Korea, $15,050 (USA$). Sunshine Millions Turf S.-R (GP, $30,000), etc. (USA$), Clasico Independencia [G2], 2nd Clasico Comercio [G3]. and France, $877,536 (USA$), Blamey S. [G2], Back to Caulfield P. B.
Bendigo Cup, 2nd Turnbull S. [G1], etc. 3rd Green Options Racing Razor Sharp H.
Coolmore Fastnet Rock Matron S. [G1], etc. Shabaab (g. by Stormy Atlantic). 3 wins, 3 to 6, $125,832(USA). Denali South Peak (g. by Colonel John). 9 wins, 3 to 6, 2017, $109,525. Mighty Thor (r. by Stormy Atlantic). Winner at 4, $44,235. Colonel Cody (g. by Colonel John). 3 wins at 4, 2017, $41,329. Mile S. [L] (MNR, $13,000). $61,226, 3rd Hastings S. (EMD, $7,500). Crystal Image (f. by Halo's Image). Winner in 1 start at 3, $41,250. $46,690, 2nd Sorority S. [L] (MTH, $15,000). RACE RECORD for Stormberg: At 2, unplaced in 1 start; at 3, once 2nd; at 4, two wins, once 2nd in 3 starts; at 5, unplaced in 1 start; at 6, twice 3rd. Totals: 2 wins, twice 2nd, twice 3rd. Earned $108,865.